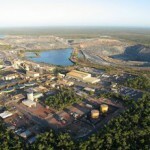 Rio Tinto's uranium subsidiary Energy Resources of Australia (ERA) has denied claims it is expanding operations without environmental assessments. It comes as the Environment Centre NT (ECNT) and the Australian Conservation Foundation accuse the miner of "expanding by stealth". ECNT spokesperson Cat Beaton called for increased scrutiny on the miner after it received federal approval for an extension to its Ranger 3 Deeps project. According to Beaton ERA said that it will now no longer need further federal approvals for additional tunneling, mining, and processing of uranium. “It is unacceptable that these key elements of this project are advancing without any environmental assessment or public input,” Beaton said. “The Ranger Uranium mine has a long history of leaks, spills and breaches and should be undergoing a higher level of public scrutiny, not less." The ECNT claims that the miner is aiming to extended its Ranger 3 Deeps exploration decline project by another kilometre, and begin processing ore found whilst bulk sampling during exploration drilling. Justin Tutty, from the Centre, stated that "both Territory and Federal level assurances have been given that no uranium ore would be produced without further assessment. What we heard yesterday was a backflip. “We are calling on the federal government to commit clearly and now that any further development of the exploration tunnel or production of uranium of any size will require a full Environmental Impact Statement (EIS)." However ERA has dismissed these claims. 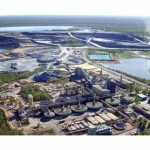 Rob Atkinson, ERA's CEO, said the miner is not planning to process its 30 000 tonne sample, according to the Herald Sun. Atkinson stated that while exploration works may be expanded by another kilometre, the notion of processing the relatively small amount mined was ridiculous. "Any suggestion that we are doing this under a cloak of darkness or a cloak of secrecy is just nonsense," he said. ERA announced its approval of a $57 million prefeasibility study for Ranger 3 Deeps in June this year. At the time it stated that it was conducting "close spaced underground exploration drilling to further define the Ranger 3 Deeps ore body, and to explore areas adjacent to the resource," adding that "the results of the underground exploration drilling will be incorporated into the prefeasibility study". A decision on Ranger 3 Deeps viability is scheduled for late 2014.